If you’re brave enough to creep onto our haunted website to read this through Halloween then you’ll be rewarded with some dead good news! We para-normally have scarily good deals on fuels and lubricants all year round but when the temperature drops and the nights become darker, earlier, a few monster offers tend to rise from the dead and come knocking on your door! Are you lurking for reliable fuels and lubricants suppliers? 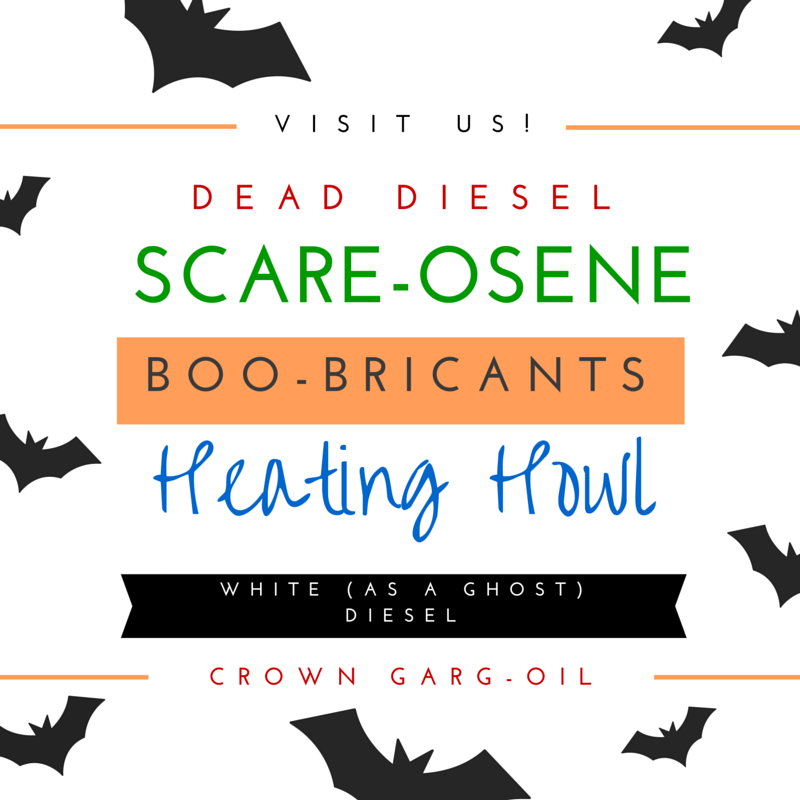 Instead of cursing because you’ve used the wrong supplier, call Crown Garg-Oil on 0845 313 0845 for a thriller of a deal! With no fuel pump-kins, just oil tankers ready and waiting to deliver bulk fuels to you, we can even deliver same day anywhere in the UK, perfect in an emergency! Dead Diesel – Blood red diesel for construction, agriculture and more! Get your Ghastly-oil here! Scare-osene – Get rid of that chilling feeling by your ordering kerosene now! Boo-bricants – Slimy creatures of the night which lubricate your machinery! Industrial Heating-howl – You don’t have to be as bright as a full-moon to work out where-wolf to buy your industrial heating oil! White (as a ghost) Diesel – There is no hiding away from the fact our diesel/derv prices and customer service terrifies our competitors! Behind the screams at Crown Oil HQ! 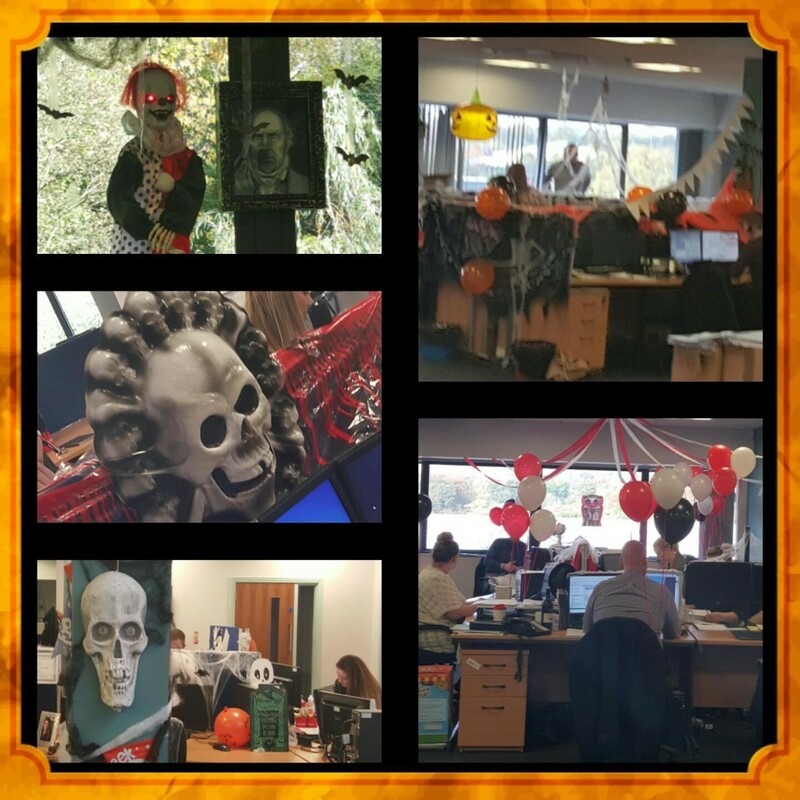 As it’s Halloween, we thought we’d give you a sneak peek of behind the scenes at Crown Oils hellish HQ! We’ve been supplying fuels and lubricants for over 70 years so it’s no mystery which craft we specialise in. But you can call us if you need us to spell it out for you! Instead of organising a witch-hunt to find the best fuel supplier, get in touch with us today to ensure you’re not paying tomb-much. Spook with an unfriendly Crown Garg-Oil specialist on 0845 313 0845 for a thriller of a deal today! Hope you have a fang-tastic Halloween!